15% OFF + Extra $20 ModCloth Coupon - Verified 25 mins ago! If you are looking to achieve undeniable style, flair or elegance, ModCloth is one store that you won’t want to overlook. When it comes to style, no one wants to dress like everyone else. Having your own personal sense of style and preferences is essential for self-expression and standing out among the crowd. If you’re seeking to redefine your style but you don’t want to spend too much money on a new wardrobe, ModCloth may be an option worth considering. Featuring many popular styles and vintage inspired clothing, ModCloth is a highly recommended choice among many fashionistas. Using ModCloth coupon for extended buying power, you have the assurance of knowing that you won’t overspend during your next shopping spree. Details: These Cuties Won’t Last! Get up to 70% off Sale + Free Shipping on orders over $50. Details: New Markdowns! Get Up to 30% Off Clearance. Details: Get 15% off when you Register with UNiDAYS & verify your student status. Exclusions: Markdowns & other exclusions may apply Details: Get $30 off When you Buy Two pairs of bralettes. Exclusions: Excludes markdowns and other exclusions may apply. Exclusions: Excludes markdowns and other exclusions may apply. Details: Get 30% off When you Buy Two Pairs of Tights. Details: Get 30% off When you Buy Two Pairs of Tights. Details: Register with UNiDAYS to verify your student status, and get 15% off! Refer a friend & you’ll both receive $20 off orders of $50+. Everyone wins! Sign up for ModCloth's e-mail list, and receive a coupon via e-mail for $10 off a $75+ order of vintage apparel and accessories. Founded in 2002, ModCloth began in a college dorm room as a concept shared by two high school sweethearts. As years have progressed, ModCloth has grown to house 350 employees present through offices in Los Angeles, San Francisco, and Pittsburgh. The company aims to provide clothing and decor options that are just as unique and expressive as the people interested in purchasing them, reflecting the truly versatile and interesting style of the items that are available. Have you been trying to find out more about ModCloth deals? Whether you are curiously searching for a ModCloth promotion code or information about what this company is all about, Coupofy has all of the details you’ve been looking for. Our review of ModCloth will provide you with the latest knowledge of what you can expect while shopping at this store, including shipping, returns, and how to get the best deals. In comparison to other stores that are available, you might wonder what makes ModCloth so different. The key factor can be found in the clothing selection itself. When you shop at ModCloth, you are browsing a selection of clothing that is exclusive to the store itself. These are styles that you’re not going to be able to find anywhere else, which truly makes them unique. These styles have been inspired by feedback and various input from the community that thrives around ModCloth. What this also means is that if there’s something that you want to see, providing your input may mean that you will find that ideal garment created on ModCloth in the future. All of ModCloth’s exclusive clothing line is available in a variety of different sizes. If you’ve ever struggled to find your size when shopping at other stores, this isn’t an issue that you’re going to run into at ModCloth. Whether you are petite or plus size, ModCloth has something in an appropriate size for you. In addition to the exclusive line of clothing that ModCloth offers, the company also provides a curated selection of styles from hundreds and hundreds of independent designers. This exposes you to designers and styles that you might not have ever known about otherwise if you weren’t shopping at ModCloth. ModCloth looks for clothing designers from all over the world. As a result, you’ll find plenty of international independent designers as well as popular independent designers from the United States. When it comes to exclusive clothing lines and independent designers, most people have come to assume that buying these types of garments is incredibly expensive. However, ModCloth offers a vast selection of clothing for an affordable price. If you want to ensure that you get the best deals when you’re shopping at this store, you’ll want to keep the following tips in mind. Always shop using a ModCloth promo code. If you want to get good deals and prices when you’re shopping at this store, you have to use a coupon. The clothing isn’t overpriced at all, but you’re going to spend more money than necessary without a coupon. ModCloth has many coupons available throughout the year, so it’s a good idea to take advantage of them when they are available. Not sure where to find a ModCloth coupon? Your first option is to sign up for the company’s email newsletter. Usually when you sign up, you’ll receive your first ModCloth discount code, which you can redeem immediately. The newsletter will keep you updated about all sales, promotions, and coupons on a regular basis. It’s highly recommended to sign up for if you plan on shopping at ModCloth a lot in the future. If you are in college or university, you will want to consider signing up for a ModCloth student discount. You can get this coupon a few different ways, but generally if you are not already part of a special student discount program, you can find out how to sign up for this discount while you are browsing the website. This is a great option if you like to shop for clothes from time to time while you are in school but don’t have an expansive budget. Another way to get coupons is to follow ModCloth on social media. ModCloth has accounts on Facebook, Pinterest, Twitter, Google Plus, Instagram and YouTube, so if you’re active on any of these platforms, you’ll want to follow the store there as well. Sometimes ModCloth will post exclusive deals and discounts via social media, so this is worth checking out if you like flash sales or other forms of significant savings. It’s a great way to get access to a promo code ModCloth wouldn’t post anywhere else. When you have all of your coupons collected, it’s finally time to start shopping. Spend some time browsing through ModCloth’s site so you can find everything that you want to buy. You can add these items to your cart while you browse. When you are ready to make your purchase, go to the shopping cart and click check out. During checkout, you will need to provide information about shipping, payment, and your ModCloth discount code. Your discount code can usually be applied on the payment page. Copy and paste the code into the corresponding area and then apply it. The discount should be shown in your final total immediately. If you see an error code or nothing happens, you may want to try applying the discount code again. If you still don’t achieve any success, we recommend using a different promo code ModCloth has sent to you. Please note that it is not possible to redeem multiple discount codes at once. If you have multiple codes that you want to use, you will have to decide which coupon will provide you with the best discount for that shopping experience. However, if you want to find a way to stack your discounts, there is one way to get around this. If you are interested in shopping during a sale, usually you can still apply a discount code to your purchase. This way, you will get the discounted price of the item due to the sale, but you will also receive another discount due to your use of the coupon. Why Didn’t My Coupon Modcloth Sent Via Email Work? There are a number of ModCloth deals that will be sent out to you via email throughout the year. Sometimes when you attempt to redeem these deals during checkout, they won’t work. This is generally because the coupon that you have chosen has expired. Coupons will only work for a limited period of time before they expire and must be replaced by other coupons. For example, if you were using ModCloth promo code May 2016 or ModCloth promo code June 2016, these wouldn’t work anymore because they would be outdated and expired. If you want to ensure that your ModCloth deals work when you try to redeem them, you should only use the most recent coupon Modcloth has sent you via email. Another reason why the promo code ModCloth sent didn’t work is because you haven’t met the terms and conditions associated with the coupon. If you read the fine print or the additional information posted at the bottom of the email, these are generally the terms and conditions associated with the coupon. Some coupons require that you purchase specific items, some require that you purchase items in a specific combination. Without these types of terms being met, the discount won’t be provided. You should always read the terms and conditions when you receive a coupon so that you understand the best way to use it later on when you’re shopping. Savvy Saver shipping is delivered by USPS in partnership with FedEx. It is free for orders that are priced over $75, but for any orders less than this total, you will need to pay a $5.99 flat rate for shipping. If you want to avoid paying this additional shipping cost, you may want to try using a ModCloth free shipping code, if available. This is very convenient if you’ve only ordered a few items during a sale and they haven’t met the required total for free shipping. Keep in mind that these ModCloth free shipping code promotions vary and are not always available, so if you receive this type of coupon, you should use it as quickly as possible. ModCloth is able to ship internationally to a number of countries around the world. Currently, ModCloth ships to over 50 countries. If you are curious if your country is available for shipping, there is a list of supported countries available on ModCloth’s website. All orders of over $150 receive free USPS priority shipping to international locations. Shipping to international locations typically takes a little longer, but the process can be expedited by using the appropriate shipping methods if desired. ModCloth aims to provide a simple process for returns and exchanges. Generally speaking, you have three different options that you can choose from if you are not pleased with your order. First, you can opt for a store credit with a $5 bonus. With this option, you would receive store credit for the complete amount of your return, a return label, and a bonus $5 that you can use toward finding something you would be more pleased with purchasing. Your next option is a refund, in which ModCloth will refund the money back to your original payment method, but a $5.99 shipping fee will be deducted from your refund for the shipping label. Alternatively, you can also choose to do an exchange, which is always an option if your item is still in stock. If you want to qualify for a return, the items must be shipped back to ModCloth within 30 days of the original shipment date. Exchanges must be received within 90 days. If you have made an international purchase, then you have a period of 60 days. Items must be in the same condition they were when you received them. This means they must be unwashed, unworn, not damaged, in their original packaging and with all of the tags still attached. You cannot return or receive store credit for items marked as final sale, free gifts, promotional items, returns that have been damaged or worn, or any returns that have been made after 90 days of the original shipment date. Some items are only eligible for store credit and cannot be used for a full refund on your original payment method. For example, any returns that are received by ModCloth between 31 and 90 days after the original shipment date of the order will only be eligible for store credit. If you make late returns, there will be a $5.99 shipping fee deducted and you will not receive your $5 bonus offer. Any one-of-a-kind items can only be returned for store credit. This also applies to vintage items. If you’ve ever shopped online, chances are that you’ve experienced the following situation. You make a purchase and you’re pleased with what you’ve bought until a few hours later or even a day later, you see that these same items are now available with a coupon, making them noticeably cheaper. This is often a frustrating scenario because you realize that there are savings available that you’ve missed out on. Thankfully, ModCloth considers these situations and works with customers to provide the best results possible. If you’ve placed an order and then discovered that there’s a coupon available, ModCloth will let you use the coupon. As long as your order was placed within the past 60 minutes, ModCloth will apply the coupon to it if you contact them. The company is not able to apply coupons to orders after this period of time because of system limitations. If you’ve ordered something at full price only to discover that it’s gone on sale in the following day, there’s also an opportunity to still gain your savings back. If you contact ModCloth, they will provide you with an adjustment in the form of store credit. This can only be done if the item was purchased within seven days of the beginning of the sale and the item was clearly at full price during your purchase. ModCloth is only willing to make these price adjustments when items are red-line discounted and listed on the sale page. Any promotions provided via coupons are not eligible for this type of adjustment. Please note that if you receive the price difference for your order via this method, it makes your item non-returnable. ModCloth recommends that if you haven’t tried on any of your items before the price adjustment, you should ensure they fit before you make the confirmation. This way, you will still be able to send back your items for a refund if there is any issue with fit, whereas this would not be possible after confirming the price adjustment. 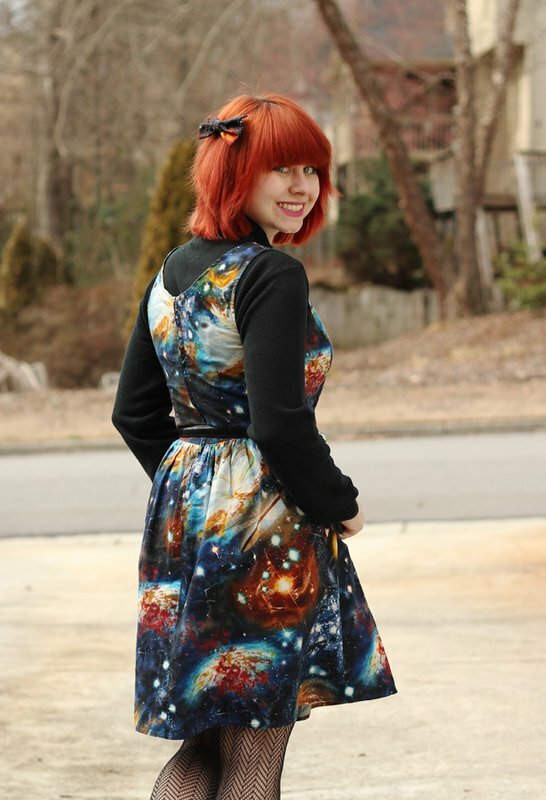 Without a doubt, spending even a few brief moments browsing on ModCloth’s site will reveal that this store is an ideal choice if you’re looking for unique or one-of-a-kind styles. Whether you’re seeking to breathe new life into your wardrobe or you’re looking for a memorable item for a friend or loved one, you’re certain to find something that truly stands out when you shop at this store. Another great aspect about shopping at ModCloth is that the company clearly values its customers and takes discounts seriously. From providing price adjustments to offering a lot of great sales and deals, it’s easy to save money when you shop here. Options such as reliable student discounts and the saving power of a carefully used ModCloth coupon can help you achieve some reasonable deals during your shopping experience. With ModCloth, no one will ever guess that you’ve been shopping on a budget or that you even have one! It’s truly a cost efficient choice for anyone who’s passionate about fashion.